Cheteshwar Arvind Pujara is an Indian cricketer. He is a right-handed batsman who plays for Saurashtra in domestic cricket and for the Royal Challengers Bangalore in Indian Premier League (IPL). Cheteshwar Pujara made his first-class debut for Saurashtra in December 2005 and made his Test debut at Bangalore in October 2010. Cheteshwar Arvind Pujara was born on 25 January 1988, in Rajkot, Gujarat, India to Arvind Shivlal Pujara (Father), he was a first class cricketer & Reena Arvind Pujara (Mother). He is the single child of his parents. 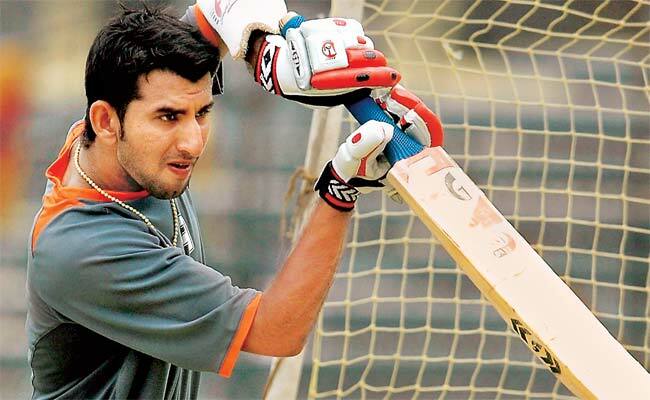 Cheteshwar Pujara is the nephew of Bipin Shivlal Pujara. On 13 February 2013 Cheteshwar Pujara married Puja Pabari (Puja Cheteshwar Pujara) in Rajkot. When Cheteshwar Pujara was two-and-a-half, a friend of his father Arvind Pujara’s nephew visited them. He was a photographer. Charmed by the toddler, he took him to a nearby garden to take pictures. He also carried a toy bat and ball. 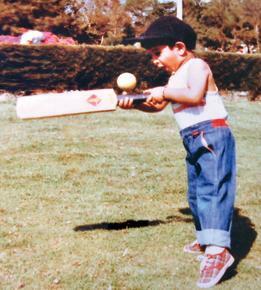 One of the pictures shows the little Cheteshwar Pujara trying to go up on his feet to negotiate a ball coming up to his chin. From the picture it looks like a mishit. But the boy’s eyes are intensely focused on the ball. That is what Arvind Pujara saw. And he saw the foot raised on its toes.